Tuometall Ltd is a technology company based in Lapinlahti, the Upper Savo region and has decades of experience in handling and utilization of various biomasses. Our strength is the wide-ranging bioenergy expertise - from forest to boiler. 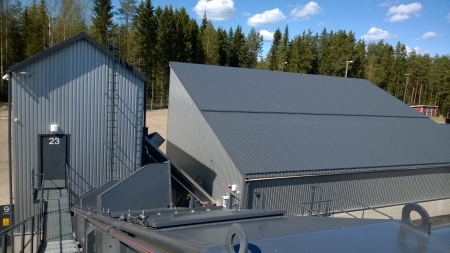 Tuometall designs, produces and delivers customer-orientated, reliable and cost-effective material handling solutions for utilization of biomass, bioenergy production and wood processing industries. Tuometall is a committed partner and recommended by its customers from problem solving to project implementation to maintenance and rebuilds. Our customers can remain satisfied with their choice over the whole life cycle of the product. Tuometall Ltd is a Finnish technology company manufacturing and servicing production systems and equipment for bioenergy generation and biomass & wood processing industries. Our objective is to develop and maintain long-term partnerships with customers by supplying cost effective and reliable products and services. Intensive product development and long experience ensure that our tailored material handling solutions bring more profitability to your operations and also support sustainable development. We have been active in bioenergy business since 1982. Please browse through our website and contact us for more detailed information or advice. We look forward to hearing from you soon! Tuometall’s history dates back to 1978, when a skilled entrepreneur set up his first workshop in Eastern Finland. A few years later he started to maintain local bioenergy plants and delivered the first biomass handling systems in 1985. The company name was changed 1998, when Tuometall Ltd was born. Since then the company has focused on biomass handling systems and related services. The rugged construction of the products has its roots in the long practical experience from bioenergy plants. Tuometall has exported its proven products also to neighbor countries and as far as Africa. We have been awarded a certificate for CE marking of products in compliance with EN 1090-1 standard. 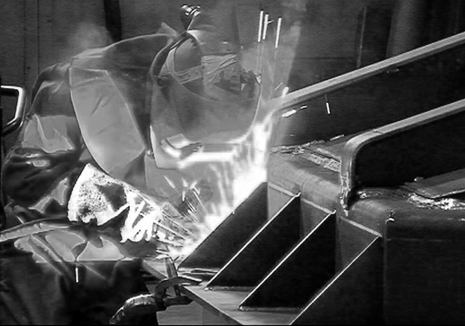 The right for CE marking applies to load bearing and structural welded components in execution classes EXC1 and EXC2.